FREWSBURG — At the Martz-Kohl Observatory, one of the largest telescopes in the tri-state area will soon give astronomy enthusiasts the best chance to see Mars as the planet is closer than it’s been in the past 15 years and will be in the next 15 years. Scheduled for 8:30 p.m. to midnight Friday and Saturday, the 20-inch Kohl telescope will be made available to the public so that Mars can be seen in detail. The telescope will allow the public to see the Mars surface and the currently active dust storm covering it. Often, Jupiter is one of the brightest objects in the night sky due to its size. Mars will reign supreme when it comes to looking illuminated this summer. The red planet looks brighter when it gets closer to Earth. As Earth is currently orbiting between the Sun and Mars’ orbit, the planet is said to be in opposition to our home. “Mars being the closest right now will be the brightest,” said Gary Nelson, president of the observatory. Earth passes between Mars and the sun every two years and 50 days. Opposition last happened in May 2016, but Mars still hasn’t been as bright as it is now since 2003. 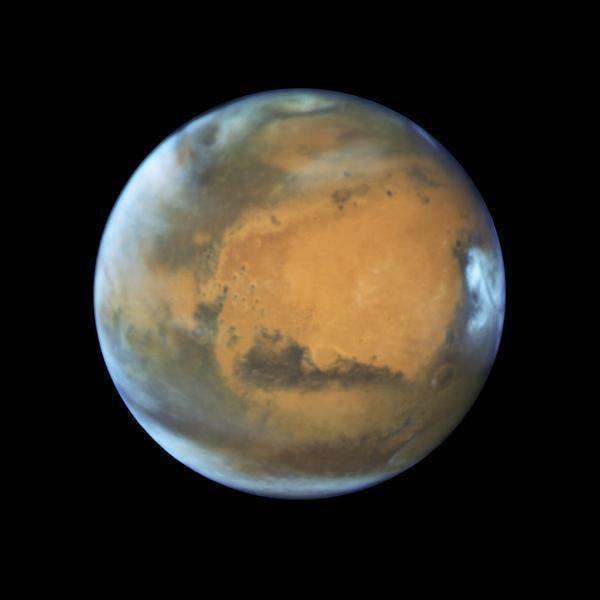 The appearance of Mars can vary depending on its location relative to Earth in the solar system. It was faint for the majority of 2017 since it was orbiting on the other side of the sun. This year marks what astronomers call a perihelic opposition of Mars, meaning Earth comes between the sun and the Mars when Mars is at its closest distance to the sun. This happens Friday, and the Earth won’t pass between the sun and Mars until Sept. 16. Mars will remain considerably bright, like that of another star, until that date.